Every year Tableau have a set of competition to find their three Iron Viz competitors for the Tableau Conference. The start of this years set has just been announced and has the theme of “found data” from Wikipedia. I have decided to enter and you can find my entry below, click on it to enter the interactive version. Fifa World Rankings – I saw this Viz last year and immediately fell in love with it, I remembered it after I started my own Viz so guess it had always been at the back of my mind. 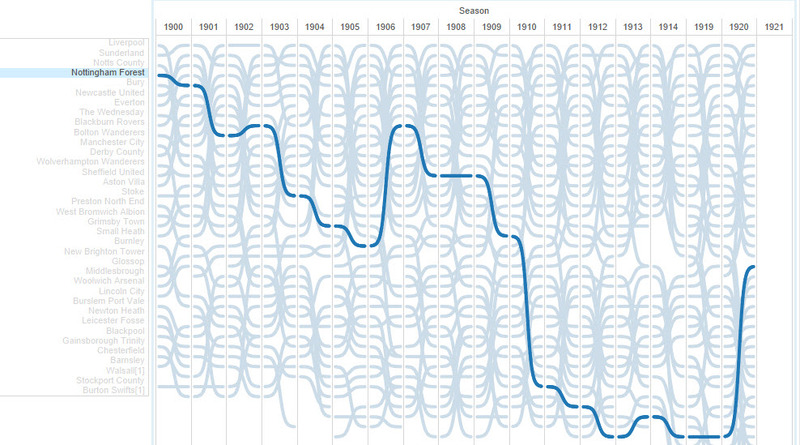 Tracing the History of NCAA Conferences – This fantastic viz was featured in one of the talks featured at #tapestry and it set the seed for this latest Viz. You can probably see how. I didn’t look at these visualisations while building mine, but looking back at what might have inspired me it’s very clear the influence they had on my design in many different ways. I love the way the community shares and influences each other in this way. the way tableau allows me to design and build something so quickly that I can design and iterate “on the fly” without breaking my flow of analysis and story telling. Later, this is as I was developing the story I had this. Note the design is there but the story element hasn’t grown into what it became, I was hoping to float transparent text over each image but as Tableau doesn’t support transparent workbooks I had to change my plan. took a couple of hours. I did it directly into Excel, deleted the intervening rows and added the league names as an extra column as I went. As a person who tends to enjoy over engineering solutions I was pleased that my decision actually looks like it saved me time. 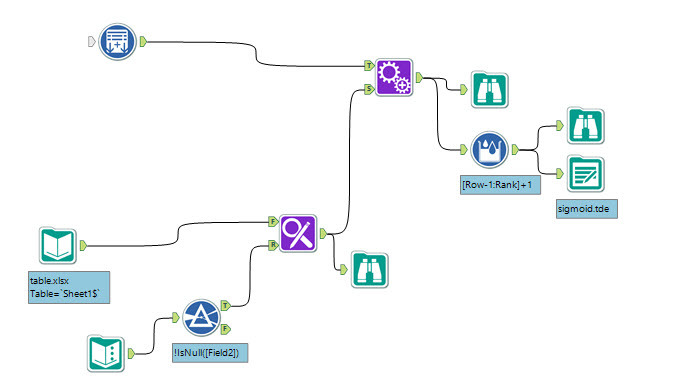 it’s my tool of choice – I could equally have spent longer in Excel and got the same effect (I prefer to get out of Excel asap these days – Alteryx on the other hand is a joy to use). my “bumps” originally took 49 marks between years, I lowered this to just 13. While this means you can make out individual line segments it means performance is much better. I moved my Viz into Tableau v9 Beta, this improved performance dramatically and since Tableau Public is on v9 I was still able to publish. I also decided against adding any more story elements elsewhere in the visualisation like adding points, goals, etc to the tooltip and / or having a clickable league table (as I thought I might do at one point). While the performance isn’t as quick as I’d like it I think I it is good enough not to spoil user experience. I cannot stress enough how important it is to source images in an ethical way, stealing someone else’s image from the internet without their permission is not cool. Dynamic Annotations by Joshua Milligan (@VizPainter) – I used this trick to allow a parameter to hide the league labels. I’m proud of this visualisation and so I think it’s important to thank those who played a part in making it happen, even if only in a very small way through their part in the tableau community. If you aren’t on Twitter then I recommend you get an account, the people I’ve already mentioned as well as those below all influenced the creation of this viz in some way, most of them unknowingly and are part of a much larger and wider wonderful Tableau community (too many to mention) that encourages each other to build better and better visualisations. Matt Francis (@Matt_Francis) is a Story Telling master, again an inspiration and offered me encouragement and tips for this Viz. Paul Banoub (@Paulbanoub) offered some great encouragement and also competition in Iron Viz, forcing me to be at my best. Last but not least I’d like to thank my The Information Lab colleagues for their input and help. Great viz Chris. This is a real contender. I played with it for ages. Nice work.